kelbysews: My Precious QAL August Link Up & Giveaway! I'm so very sorry I'm late in posting the link up/giveaway this month! Things got a little hectic around here with my oldest starting Kindergarten and my youngest starting pre-school! If you need a refresher on what this is all about, click HERE. For the final month of the QAL we have some pretty fab prizes to giveaway! 1. 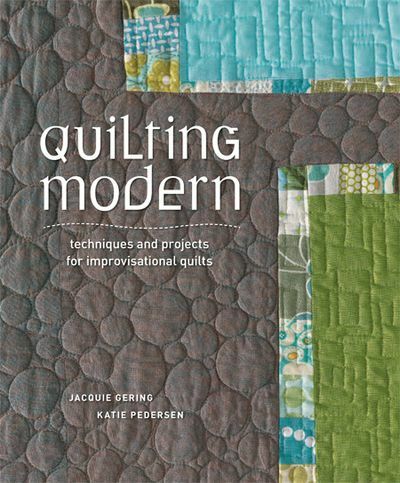 I'm donating Quilting Modern! 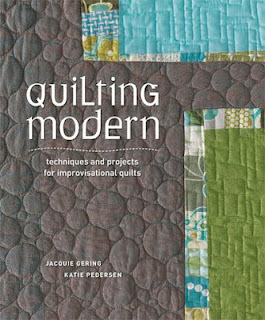 This is a great book with lots of fun modern quilt ideas! 2. 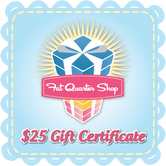 A $25 gift certificate to Fat Quarter Shop! You would have to be living under a rock to not know about Kimberly and her sweet group of helpers that run FQS! Lightening.Fast.Shipping! Do you see how much Heather Ross is in that quilt??? She promises lots of goodies, no filler! Yeah, Katie is super generous! Speaking of generous, Katie is also the creator of 100 Quilts for Kids, which is a quilt drive meant to encourage all of us to make a donate quilts to our local children's charities. 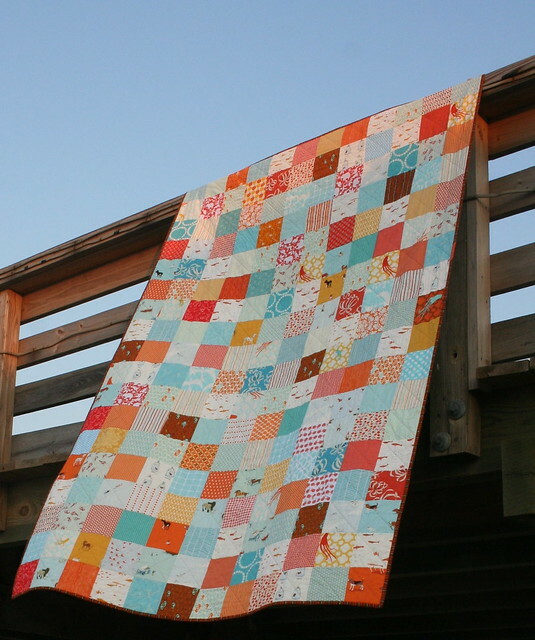 Katie posts lots of great ideas for small quilts and even gives tutorials. So hop on over there and check it out! Discover how you can contribute to your community AND possibly win some fantastic goodies!!! 5. Sarah of Bluprint Textiles is donating 1 copy of her Cathedral Window Pillow Pattern, 1/2yard cuts of the KJR big dot prints, and FQ's of some other super cute prints! Pssst! I spy some hard to find Summer in the City and Avairy 1 in there! Ok kids! You know what to do! Link up here and show off those Precious projects. Only ONE entry per person! You have until September 2, 2012 at 11pm Central time to enter. Wow - you have the most wonderful friends and donators!! 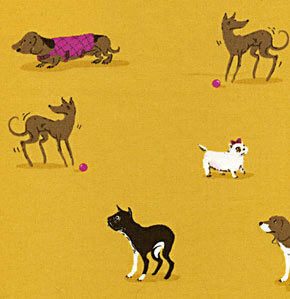 I see a little dachshund in a sweater in that fabric - I have my fingers and toes crossed!! Will link up soon! Thanks. No worries about the delay...life gets busy. I hope your boys are enjoying their new classes! Loving the prizes this round! And I am really enjoying checking out the completed projects!